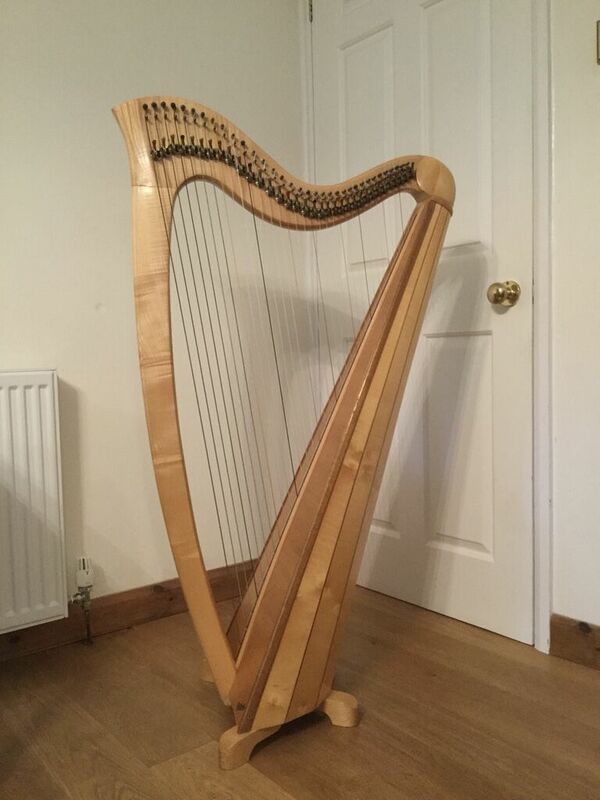 Renting a harp is an affordable way to begin playing, and there are a number of different options available depending on your location and budget. In the UK, the Clarsach Society has a number of harps available to hire extremely reasonably (usually around £25 a month with a one-time joining/admin fee of around £40 (please check their website for the most up tp date prices). 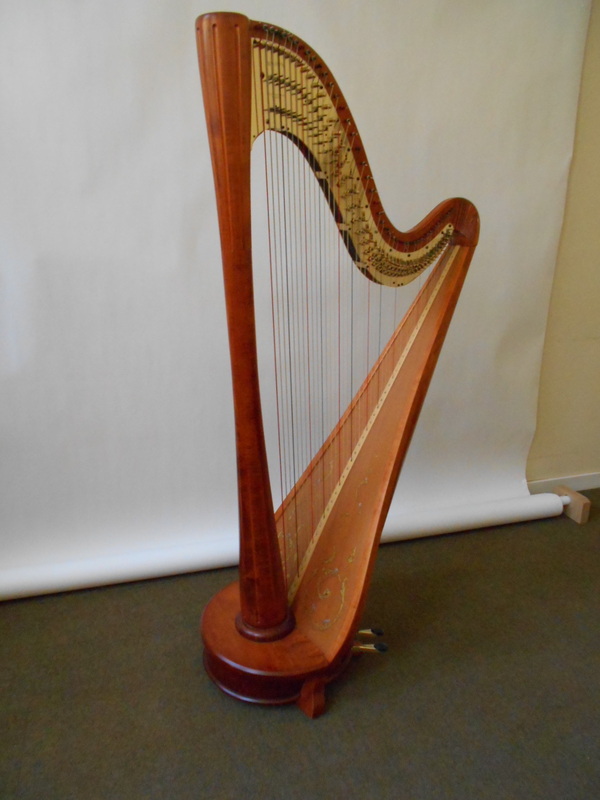 Most harp makers will also rent out harps, and will often deduct a proportion of the rental amount from the sale price should you decide to buy the instrument. This is a slightly more expensive way of hiring an instrument than going through the Clarsach Society (on average £45 - £60 a month, plus deposits/fees as set by the harpmaker), but has the advantage of providing you with a new (or nearly new) harp of excellent quality and letting you try out a particular make/model that interests you. 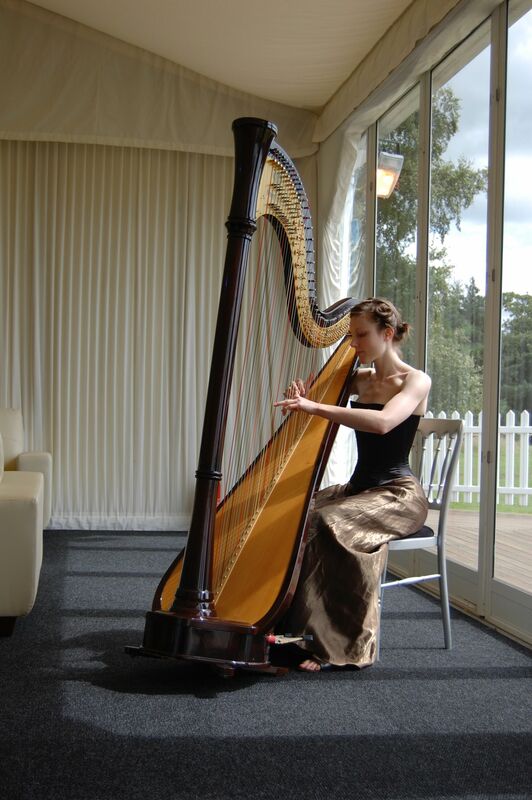 Additionally, if you fall in love with your hire harp, there is always the option of purchasing it! You can also hire a harp privately from a harpist or harp teacher - teachers in particular will often keep student harps for this very purpose! I also have a number of harps available for hire - please contact me if you are interested. Nylon strung clarsach. 9-10kg (approx.). Regularly serviced. Comes with full set of covers and tuning key. Full size concert harp with extended soundboard, made 1998. Regularly serviced. Comes with full set of covers and tuning key. Full size concert harp with extended soundboard, made 2014. Regularly serviced. Comes with full set of covers and tuning key.